Most Vancouverites remain grumpy about the Winter Olympics, but the Games are likely to improve the city in many ways, from better public transportation options to new public art. On the eve of the 2010 Winter Olympics, a Vancouver Sun poll revealed that most Vancouver residents remain ambivalent about the Games–nearly 60% of respondents calling them a waste of money that could have been better spent elsewhere. That’s not exactly surprising, considering the taxpayer bailout that was needed to finish the $1 billion Olympic Village, or the widespread perception that private developers had just a little too much influence over the planning process. Somewhat counter-intuitively, however, the poll also showed that Vancouverites are mostly optimistic about the legacy the Olympics will have on their city. There’s no Bird’s Nest or Water Cube here, and Vancouver’s budget was just a fraction of Beijing’s; these Games will transform the host city in much subtler, though still significant ways. 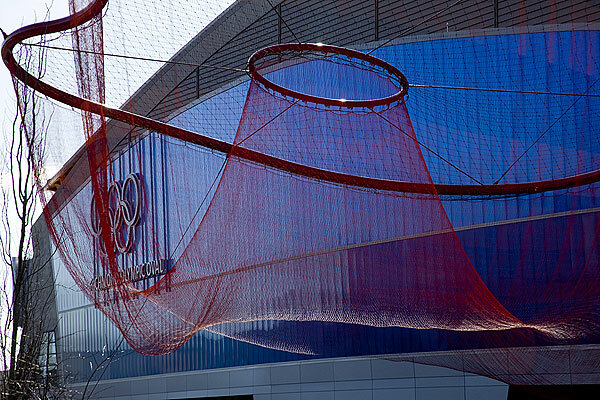 The closest thing to a Bird’s Nest is the $178-million Richmond Oval, to be used for all speed-skating events. It features an undulating roof design (made from a million board feet of reclaimed lumber that had been damaged by pine beetles) which also facilitates rainwater recapture. Outside, Water Sky Garden, a floating public sculpture by artist Janet Echelman, one of dozens of new permanent artworks around the city, visually connects the building with adjacent wetlands. But while the Bird’s Nest has sat largely empty since its 2008 debut, the Richmond Oval will become a community recreation center and the centerpiece of a new waterfront neighborhood. Similarly, a curling facility will later be converted into a community center. Indeed, the governing principle in Vancouver seems to have been “leave no trace,” to create multi-use facilities that quietly integrate into the fabric of city life once the games are gone. As the largest city ever to host a Winter Olympics, Vancouver made sustainability the centerpiece of its design strategy, an approach that’s evident in the high-density Southeast False Creek Olympic Village complex, where units will be sold as condos after the Games (assuming anyone’s buying). Built to a LEED Gold standard, it’s won plaudits from environmental advocates for its green roofs, rainwater reuse, and integration with parkland and public transit. The centerpiece of the city’s public transit overhaul is the Canada Line, an airport-to-downtown rapid-rail service, which was completed last summer. And the Olympic Line, a 60-day demonstration project timed to coincide with the festivities, brings the streetcar back to Vancouver along a little over a mile of legacy track. 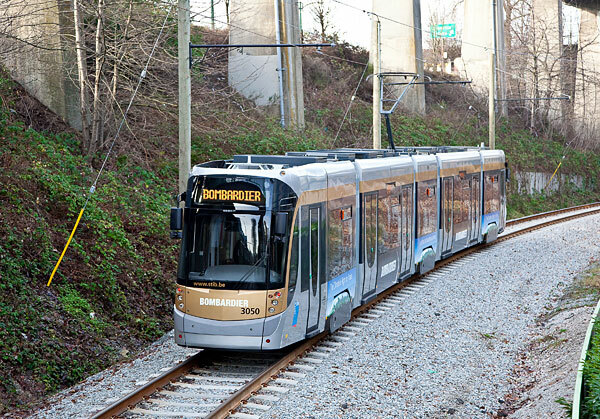 The project, which has already won a Sustainability Star, is meant to demonstrate the viability of a permanent downtown streetcar service. For those determined to be grumpy about the impact of the Olympics on their city, the brand-new site Shape Vancouver 2050 lets anyone fashion a digital model of the Vancouver of their imagination. And the Winter Games’ signature artwork, Rafael Lozano-Hammer’s Vectorial Vancouver, also gives regular people a measure of control over the look of Vancouver: Anyone can log in during the month of February to control 20 robotic searchlights arranged around the city’s English Bay to create massive light sculptures in the night sky.